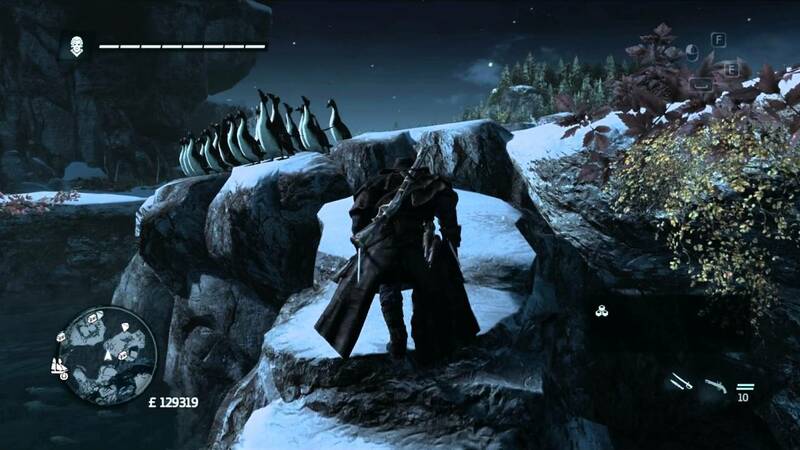 Ah Assassins Creed, the video game franchise that over-saturated the video game market so much that it’s developer Ubisoft were forced to take a year off from releasing a new addition in the series. We all know they’re only doing this because of the movie and oh what’s that I see? 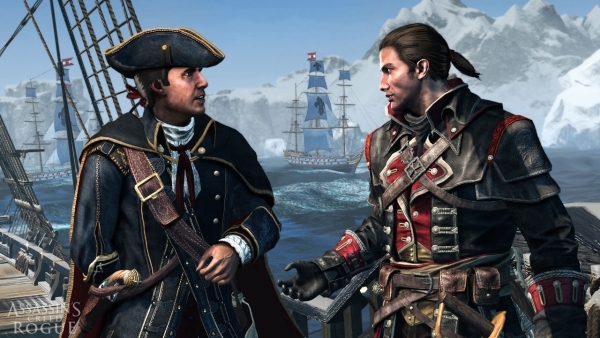 Assassins Creed Chronicles: China and Russia both already releasing in 2016? What was that about a year off again? There is no doubt that the vast majority of the games in the series have been high quality, innovative and exceptionally fun to play. I have enjoyed just about all of them and even though I’ve needed a long break between games, I’ve eventually felt the itch to play one. 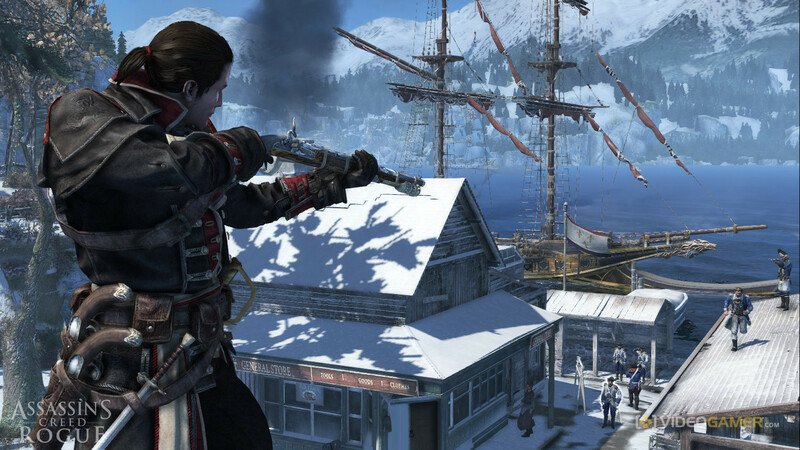 Assassins Creed Rogue would be my 8th AC game and the final one that I would play on the Xbox 360. 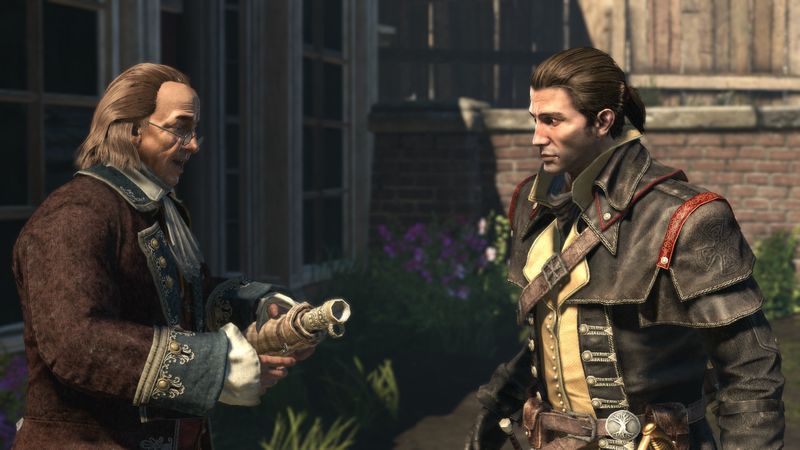 It acts as a sequel to 2013’s Assassin’s Creed IV: Black Flag and a prequel to 2012’s Assassin’s Creed III with its final mission being the prologue to 2014’s Assassin’s Creed Unity. It serves as the concluding chapter of the story arc involving the Kenway family. 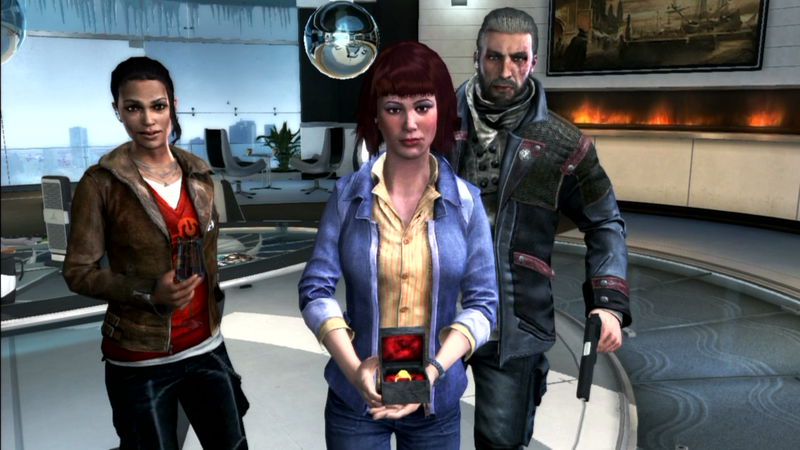 The Modern Day plot begins one year after the events of Black Flag, with a new unnamed player character who works for Abstergo Entertainment. While investigating the memories of Shay Patrick Cormac, an Assassin working in the North Atlantic during the French and Indian War, they inadvertently trip a hidden memory file that corrupts the Abstergo servers. With the building being put into lockdown, the player is recruited by Melanie Lemay to continue exploring Cormac’s memories in an effort to clear the system. Cormac is a new recruit to the Brotherhood of Assassins, working under Achilles Davenport. Achilles sees potential in him, but Cormac develops an insubordinate streak that frustrates his mentors. Believing that taking a more active role in the Brotherhood’s affairs will shape him into a better assassin, Achilles orders Cormac with his newly acquired ship, the Morrígan, to track down a Templar cell that has been deciphering a Precursor artifact revealing the locations of several Pieces of Eden. The artifact, in the form of a wooden box, had been stolen from the Assassins following a massive earthquake in Haiti some years before. With the help of Benjamin Franklin, a Piece of Eden is located in Lisbon, and Cormac is tasked with retrieving it. As Shay, you will experience the slow transformation from Assassin to Assassin Hunter. Follow your own creed and set off on an extraordinary journey through New York City, the wild river valley, and far away to the icy cold waters of the North Atlantic in pursuit of your ultimate goal – bringing down the Assassins for good. 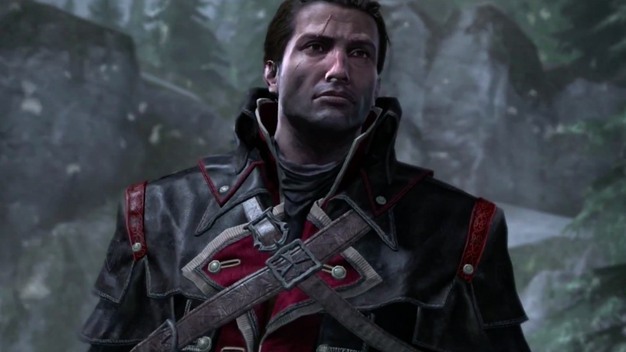 Assassins Creed Rogue is a very solid entry in the series but a slightly underwhelming way to end the trilogy. Shay Cormac is a fine protagonist but I feel he lacks some of the personality or likeability that Ezio and Edward had going for them. The conflict created within him involving the assassins, Templars and the correct path to choose is executed to great effect though. The game shows you that both sides are capable of great evil and it is indeed quite eye opening to see things from the perspective of the Templars. If you were a fan of Assassins Cred IV then you’ll be happy or possibly not to know that Rogue is pretty much more of the same. You’ll spend the vast majority of your time on the open seas, sinking ships and listening to shanties. There is plenty to discover and collect but little incentive to do so for those that have no interest in completions which is a shame. As I said, it’s basically identical to IV other than the change of location so there really isn’t much to say in that regard. 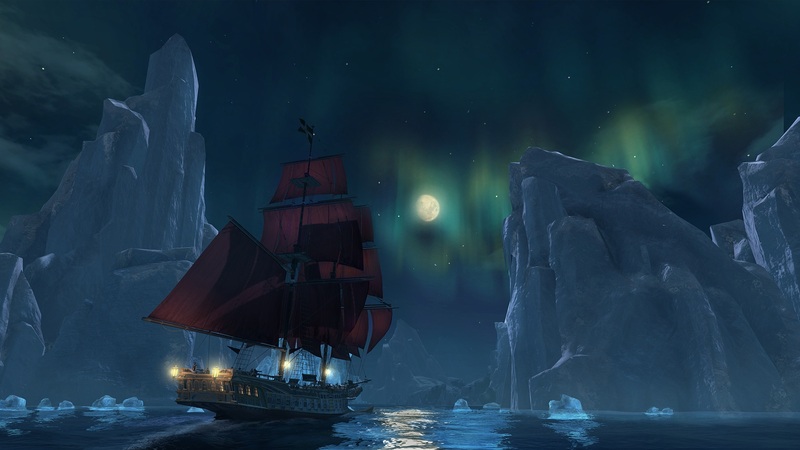 The arctic environment was one of the most enticing aspects of the game when getting around to playing it and I’m happy to say that it delivers even if the changes are only fairly minor. Icebergs plague the waters, causing tidal waves if you dare crash into them. While Shay may not be anything special, he is at least give his own unique weaponry and set of skills to stand out. The game introduces an air rifle, which allows the player to silently take out enemies at a distance. The air rifle can be outfitted with a variety of different projectiles, such as firecrackers. The player can also use a grenade launcher, which fires off shrapnel grenades and other loads. Hand-to-hand combat has been slightly altered, and now enemy attacks can be countered with timing, similar to the Batman: Arkham series of games. Between missions, you’ll once again find yourself dragged from the animus to run around Abstergo in what feels like the most tacked and pointless part of the game (as usual). Visually, the game is very nice looking for the 360. It doesn’t come close to the types of graphics we’re now used to the current generation of consoles but it certainly pushes the capabilities of the 360 to the limit. Unfortunately, Rogue suffers from the same technical glitches that have plagued the series since its inception. Shay will frequently miss jumps, grab ledges that you don’t want him to grab and even get stuck in the environment at times. 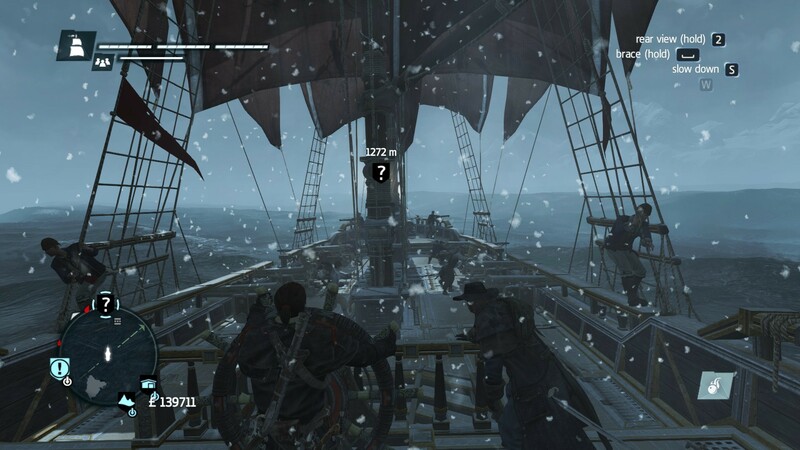 Assassins Creed Rogue takes the gameplay of Black Flag and introduces a couple of new touches to help keep things fresh. I don’t think I’ll look back on my time with the game as fondly as I do with AC IV or other AC games but it’s still a very solid game. Shay is a perfectly fine protagonist but he doesn’t really go much beyond that. I think it’s a travesty that this game was buried by the clearly inferior AC Unity.